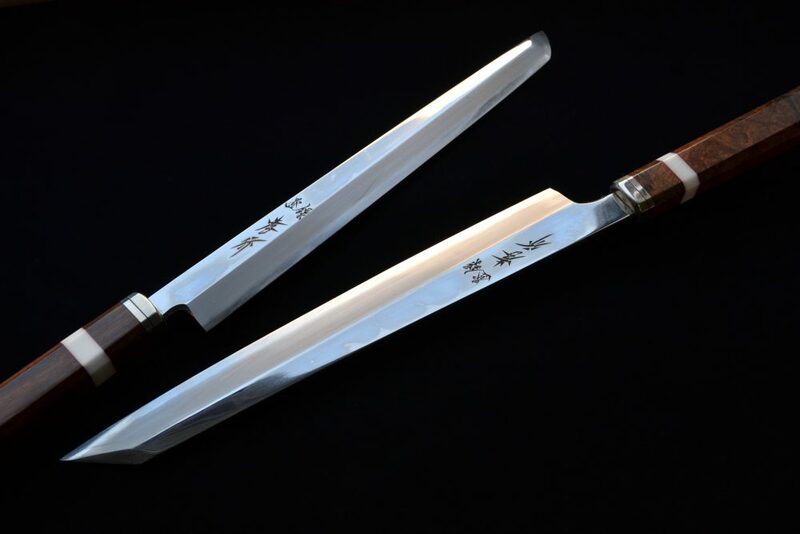 Japanese swords have been a status symbol from ancient times. 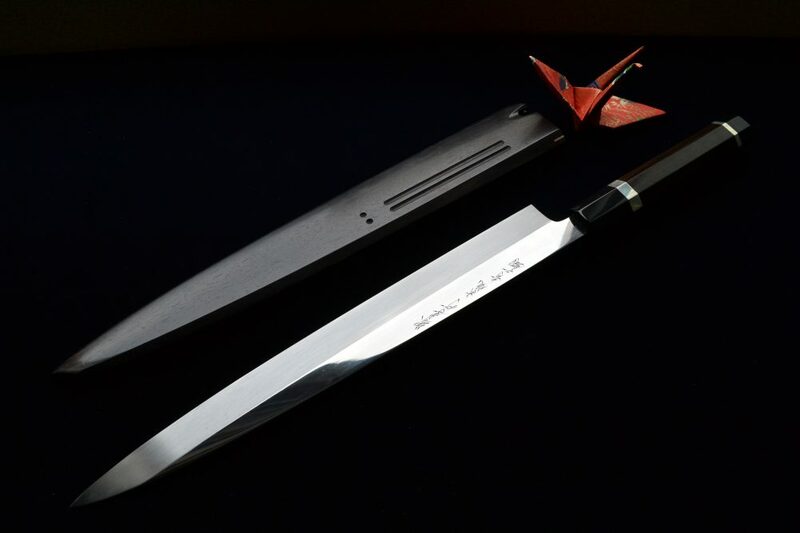 The core blade is forged by folding selected steel many times and features supreme sharpness and brilliance; it is has been said that the human soul dwells in the sword. 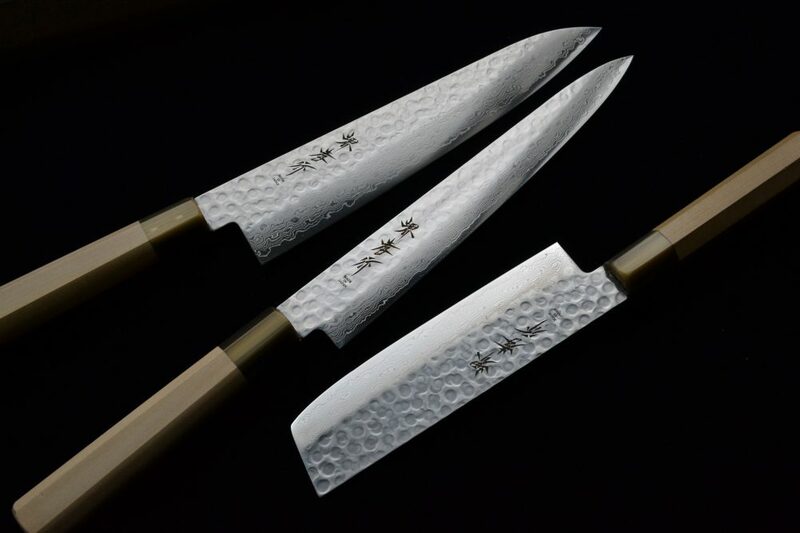 Japanese knives are actually works of art descended from Japanese swords, and we proudly present them to the world. 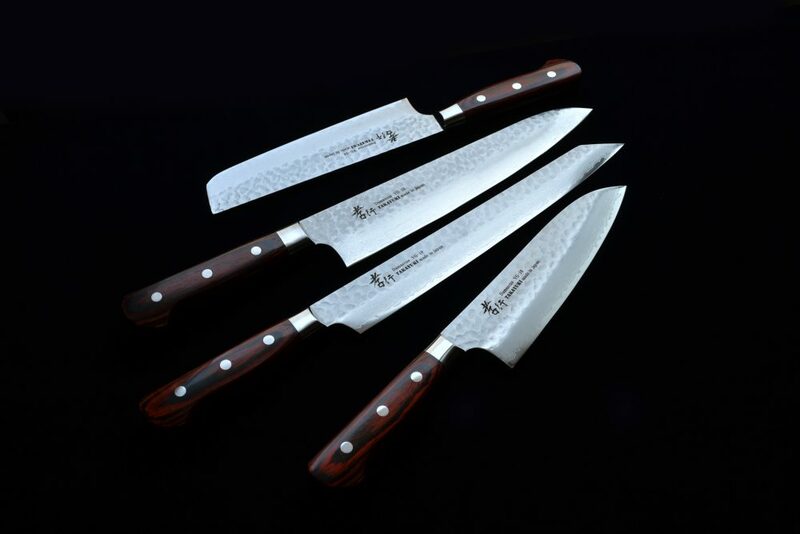 The quality of meticulous workmanship represents the pride of masters who create quality knives, and the quality is ensured by traditional skills that have been continuously inherited from their predecessors. 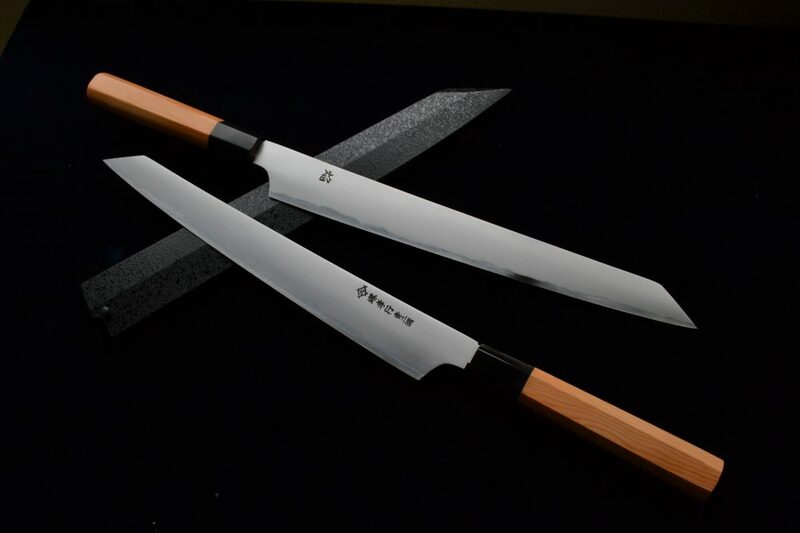 Japanese knives have their own unprecedented shapes and are without parallel in the world as knives created for cutting different foods, including fishes and vegetables, and are vital for delicate Japanese dishes. 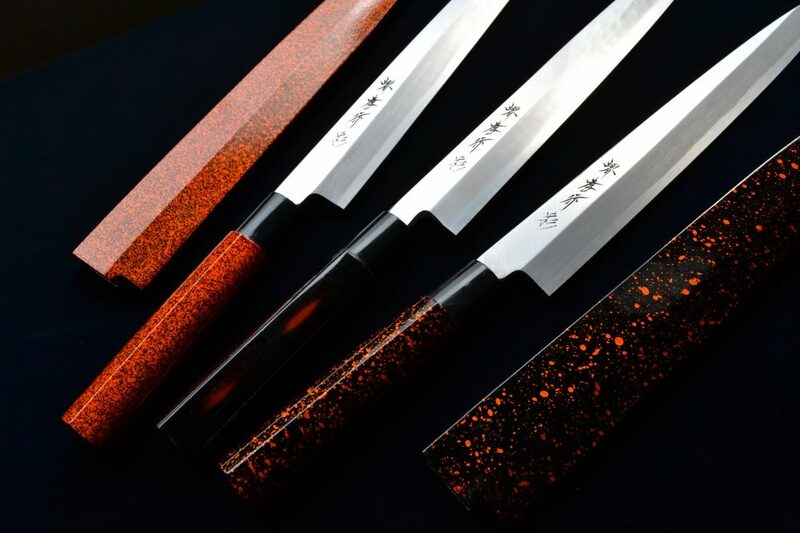 All of our staff members wish that you would pick up the Sakai Takayuki brand products which maintain the traditional skills of Sakai's Japanese knives and demonstrate the skills of world class masters. Head ofiice 〒590-0941　Sakai, Osaka Sakai-ku, Zaimokuchonishi 1-chome, 2-28 No. 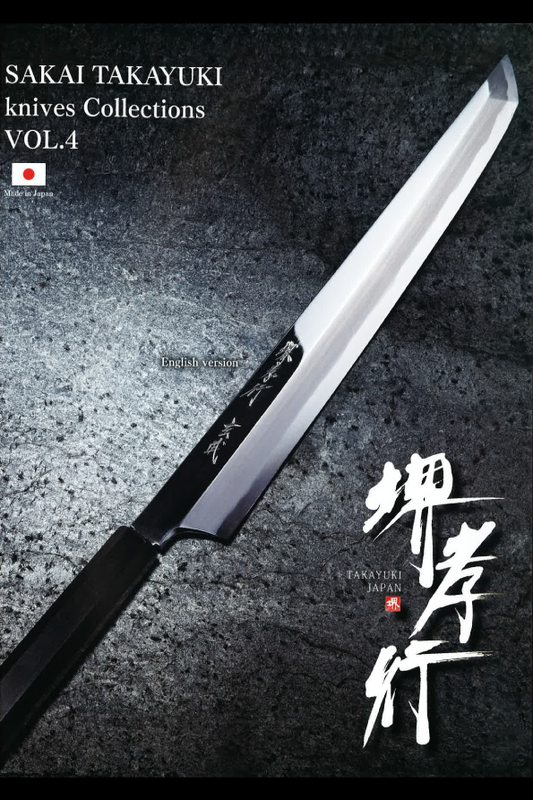 Copyright(C) AOKI-HAMONO SEISAKUSYO Co.,ltd All Rights Reserved.